The Direwolf of Stark. The Lion of Lannister. The Flayed Man of Bolton. Logos to rally behind and strike fear into your enemies. These house sigils, as your logo should, are instantly recognisable, even just by the colours – a red banner isn’t going to be for the Starks, anymore than you’d associate red with Facebook. The key to this, as the Lannisters do, is to use your logo’s colour-scheme in all your marketing and promotional material. That way, they won’t even need to see the logo to know who the material is from. These house sigils, as your logo should be, are instantly recognisable, even just by the colours – a red banner isn’t going to be for the Starks, any more than you’d associate red with Facebook. The key to this, as the Lannisters do, is to use your logo’s colour-scheme in all your marketing and promotional material. That way, a customer won’t even need to see the logo to know who the material is from. As the Lannisters have the Tyrells and other bannermen, to support them on and off the battlefield, you need some loyal customers to sing your praises too. Whether it’s people recommending you to their friends, sharing your social content or wearing a t-shirt with your logo on it, they are all helping you to promote your brand. 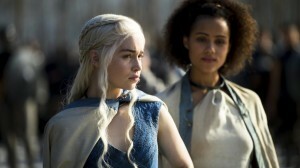 A recurring phrase in Game of Thrones, from many different characters is “words are wind”. Meaning of course, that they don’t believe a verbal promise, and are waiting for the actions to back it up. Now in Westeros there’s rarely a promise that gets kept, so you can see why they’re suspicious! But it’s vitally important that your customers are not suspicious of you. So for example, if you say your delivery time is 3 days, it needs to be 3 days. Prove your reliability from the start and your customers won’t question your claims in future. Another common phrase is ‘dark wings, dark words’, uttered whenever a raven arrives with tidings, usually of death or disaster in the Seven Kingdoms! Your customers however, should look forward to your communications – or at the very least not dread them! Whether contacting by email, phone or direct mail, it’s so important to stay engaging, and not bombard your contacts – either with the volume of contact or with overly pushy sales content. Share offers, jokes, news and tips, so your contact list will enjoy receiving your material. 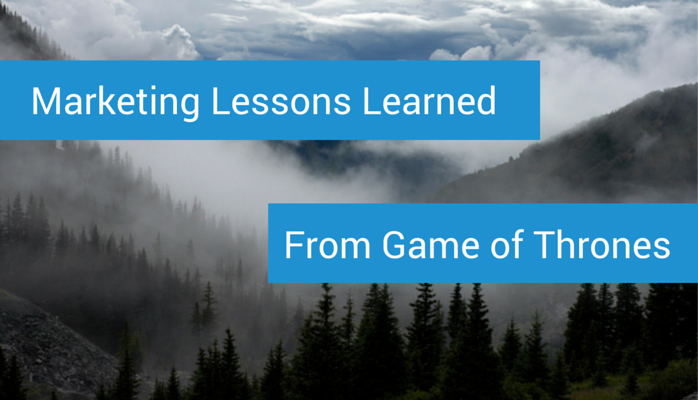 Are there any other marketing lessons to take from Westeros? Let us know in the comments!